Seeds or plays on table. 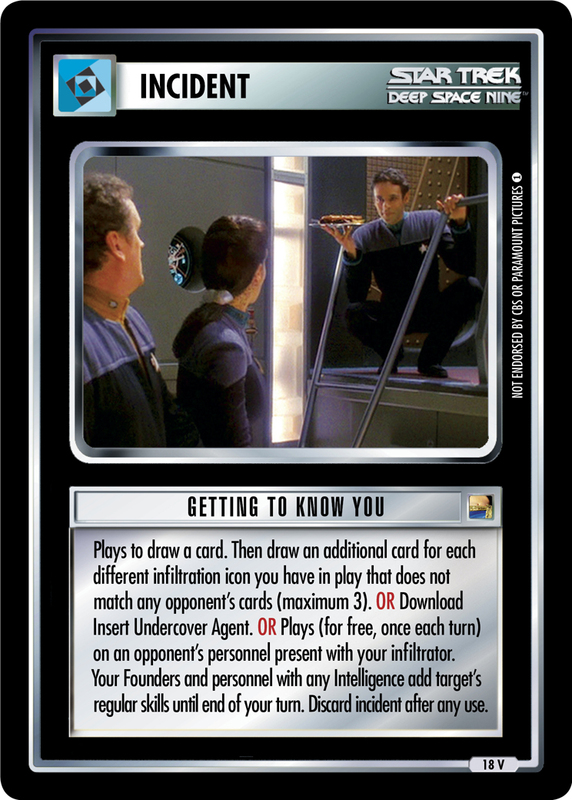 At start of your turn, you may discard a non-personnel card to download to hand a shuttlecraft. 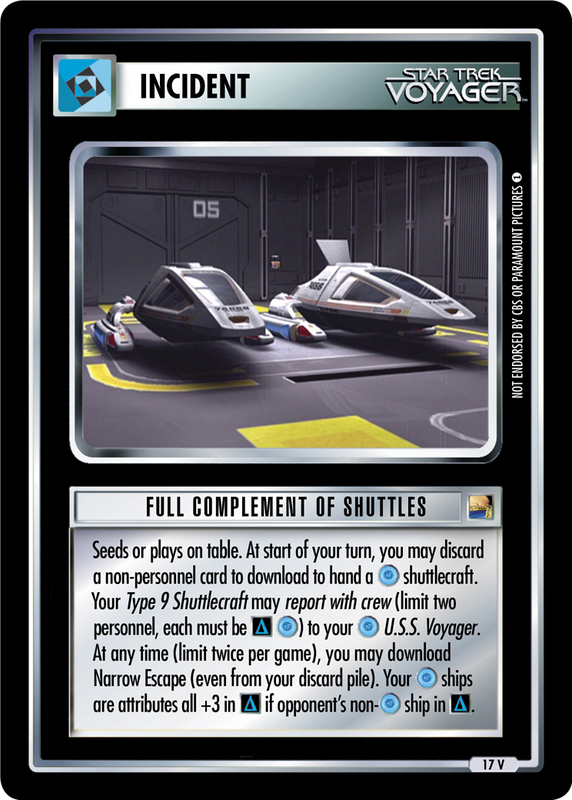 Your Type 9 Shuttlecraft may report with crew (limit two personnel, each must be ) to your U.S.S. Voyager. At any time (limit twice per game), you may download Narrow Escape (even from your discard pile). 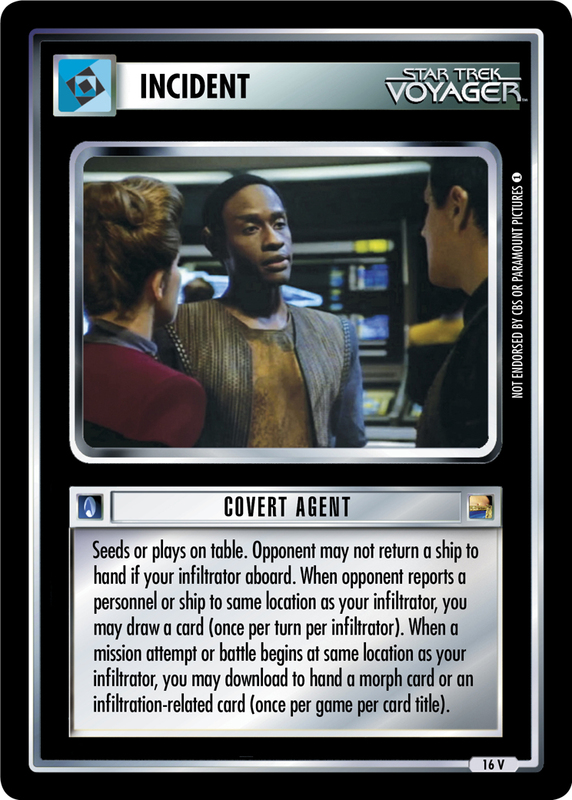 Your ships are attributes all +3 in if opponent's non- ship in .